Philip Graf will become chair of the NMC in May. A former chief executive of one of the biggest press companies in the UK and ex-chair of the Gambling Commission has been appointed new chair of the Nursing and Midwifery Council (NMC). Philip Graf, a law graduate who has held key roles in the media and government regulation, will succeed Dame Janet Finch at the start of May. Mr Graf will work three days a week for the nursing and midwifery regulator, receiving an annual allowance of £78,000. Commenting on his appointment, Mr Graf said: ‘Healthcare and delivering public good are both close to my heart, and this is the perfect opportunity to bring both together. ‘This is an exciting time to join the NMC as it looks to set the standards that will shape the nurses and midwives of the future and take on regulation of a brand new profession – nursing associates. Mr Graf worked for four years as the chief executive of the regional and national media giant Trinity Mirror Group, which owns the Daily Mirror and a host of regional newspapers. He has 20 years of experience in the media industry. He was also the deputy chair of the broadcasting regulator OFCOM and is currently chair of the not-for-profit Educational Development Trust, which provides education services around the world. His role with the NMC will include setting strategy, overseeing governance and engaging with the government and stakeholders. NMC chief executive Jackie Smith said: ‘I am very pleased to welcome Philip Graf as our new chair. ‘I know that Philip’s extensive experience of regulation, strategic insight and ambassadorial skills will ensure the NMC continues to be a forward-looking, dynamic regulator, and make him a worthy successor to Professor Finch. 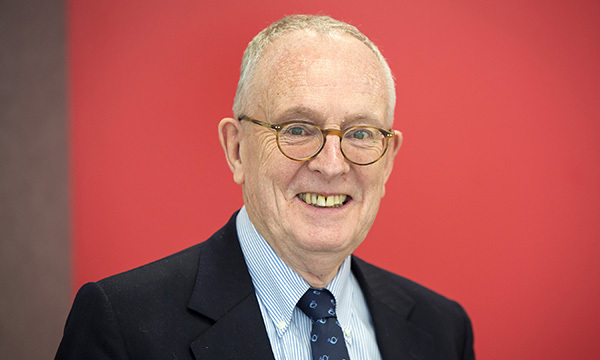 Professor Finch, a sociologist, has been the regulator's chair since January 2015.